Therese has been working with Reston Limousine as its digital media champion since 2009 and moved into the Marketing Manager position in 2012. Two years later, she was honored with SmartCEO magazine’s Executive Management Awards for marketing. The majority of her career has been spent in journalism over 23 years; she most recently was editor of Loudoun Magazine and Loudoun Business, published by Leesburg Today. 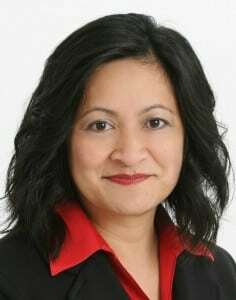 Other publications where she has served as editor, copy editor or writer include the San Francisco Examiner, Honolulu Advertiser, Ann Arbor News and the Pacific Daily News, a Gannett publication on Guam, where she was born and raised. Therese earned her bachelor’s degree in English at San Diego State University and her master’s degree in communications at the University of Michigan, Ann Arbor.